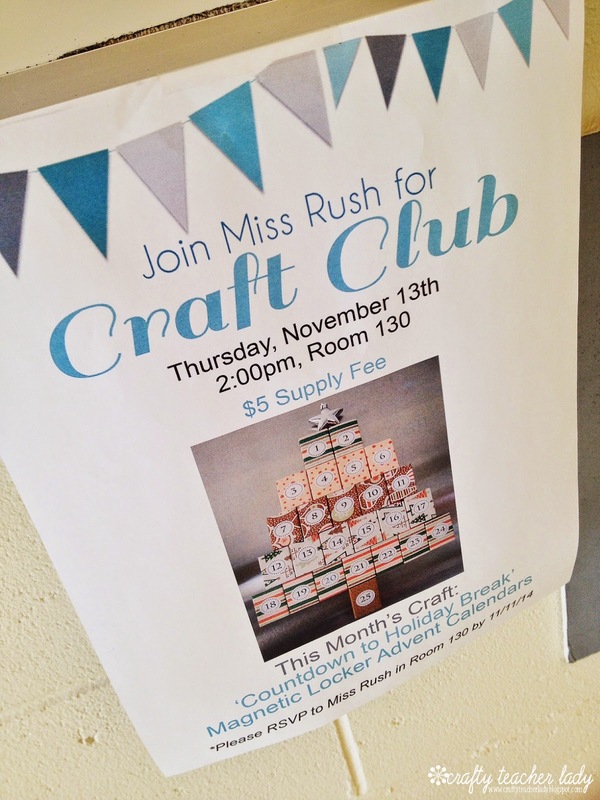 I'm so excited about starting a new club at school for students who share my love of crafting!! 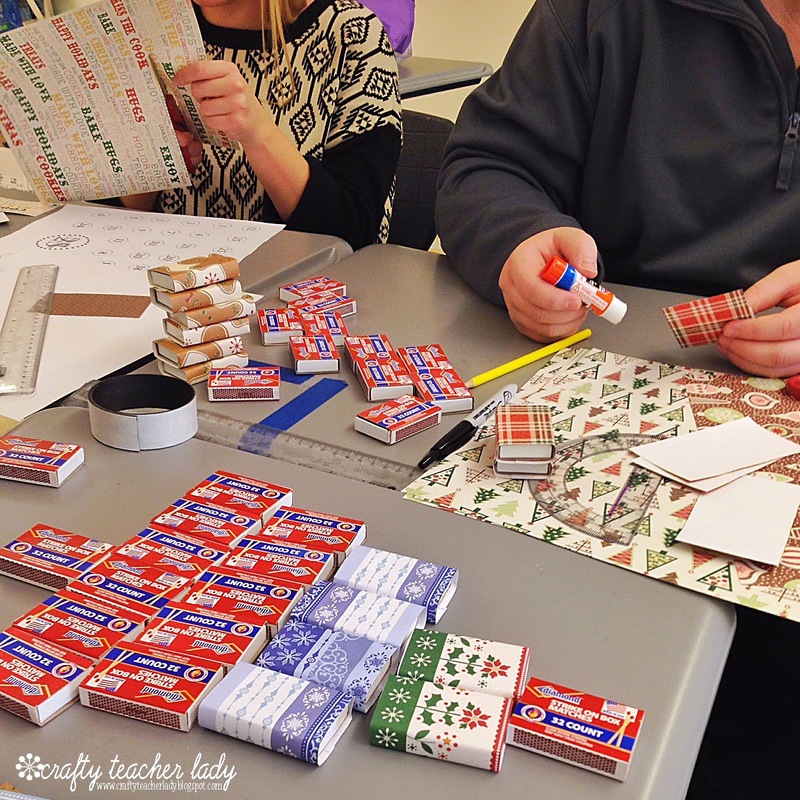 We had our first get-together this week and our craft project was making magnetic matchbox advent calendars for them to hang in their lockers and countdown to holiday vacation! 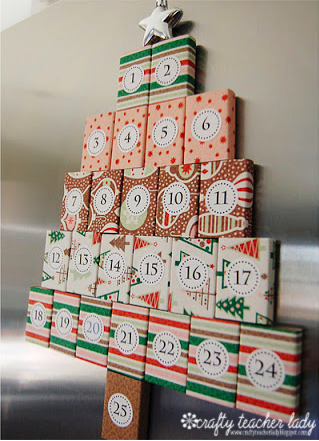 A tutorial for making the advent calendar can be found here. It's a super easy, fun, and inexpensive project! I made some cute little signs to put up around the school advertising the club times and the project we would be making. I got a lot of positive feedback about starting the club from administration, staff, and students! Basic supplies are a ton of matchboxes (the people at the Dollar Store must have thought I was crazy for buying so many), scrapbook papers, magnet strips, and jingle bells for the top of the calendar. Glue sticks, rulers, and scissors are needed to put it all together. I had 12 students and one teacher come to the first get-together, which turned out to be just the right amount of people so that I could easily walk around and assist if needed! 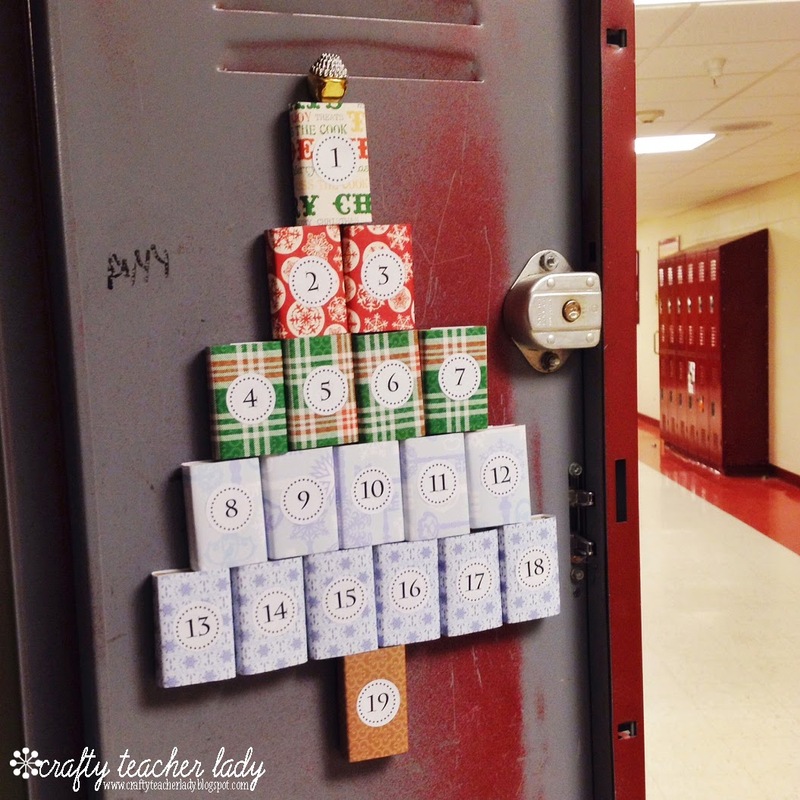 Because I wanted the students to be able to hang their calendars in their lockers at school, we designed the calendars with only 19 boxes as a way for them to 'countdown to holiday vacation' instead of counting down the days until Christmas. We are a public high school, after all, so counting down to Christmas isn't exactly PC! Ha! 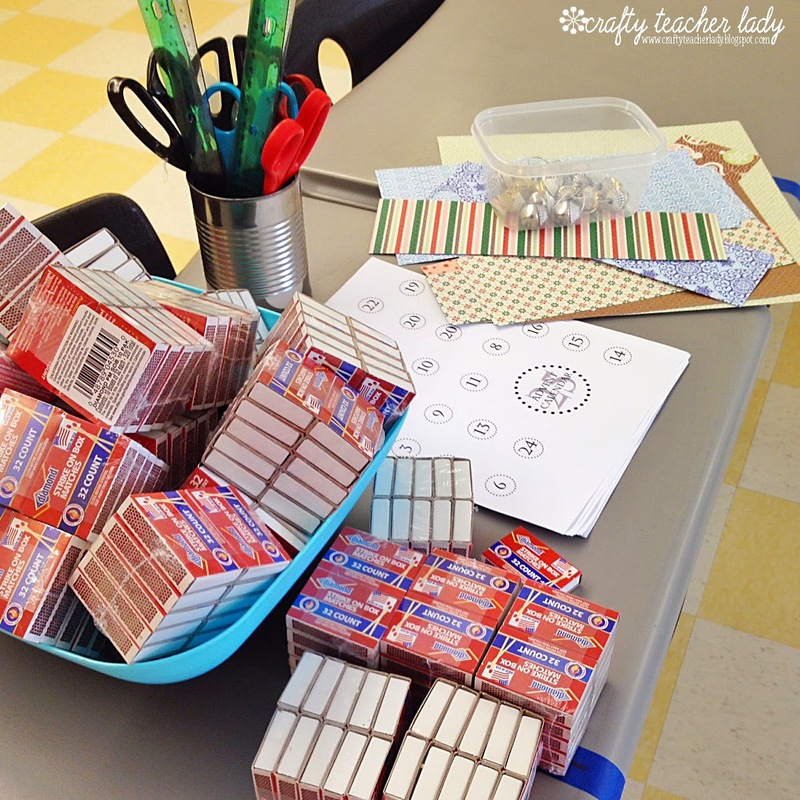 They will fill the boxes with notes from friends, family, and teachers so each day they are greeted with a fun message! They turned out SO CUTE!! 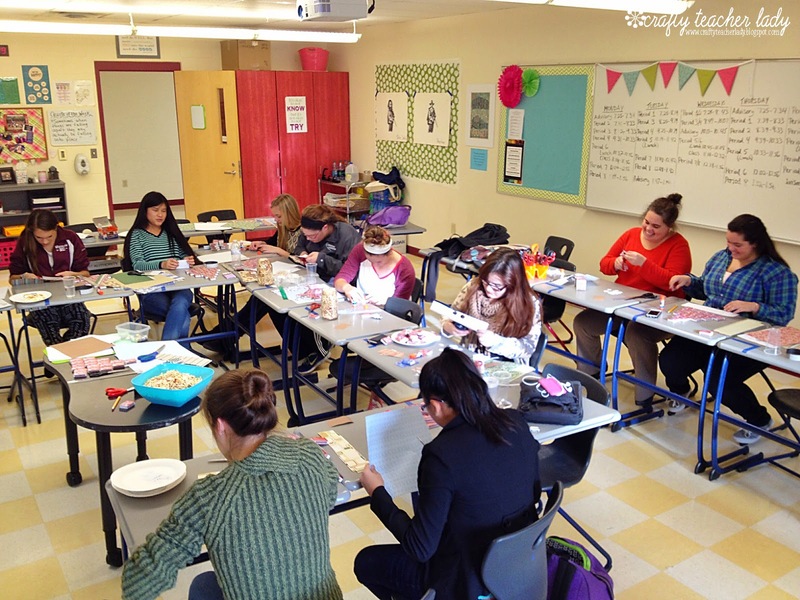 And the kids had so much fun making them...we chatted, crafted, snacked, and listened to awesome '80s throwback jams! The students have already asked when the next Craft Club meeting will be so my head is already turning with lots of ideas for projects we can make! My heart is also filled with happiness from spreading crafting joy!